Social games are a new way of spreading awareness on global environmental and social causes. Take 'Happy Oasis', for instance. It's been a long time coming. Well, at least since Google+ launched, Google wrote on its blog that games are finally here for its social network. 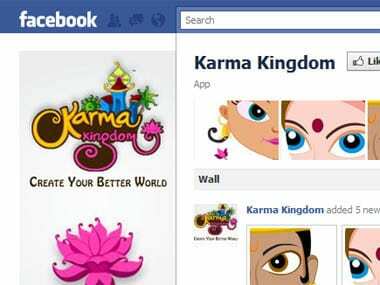 Karma Kingdom is the latest quest-oriented community building game on Facebook. The difference is that users benefit only if they do some good Karma and Gods Hanuman and Ganesha are there to help them in their quest. Facebook game, Happy Oasis hopes to be a source of entertainment a la FarmVille with a progressive message attached. It's a Lady Gaga version of FarmVille.